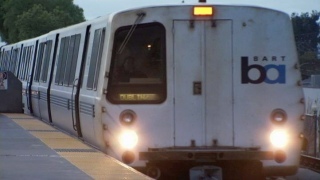 A young man died Wednesday night in a bathroom at BART's Bay Fair station in San Leandro and the station is closed until further notice, a BART spokesman said. Trains are running through the station but not stopping. At about 9:20 p.m. BART police responded to person in a restroom for an extended period of time, BART spokesman Jim Allison said. Officers entered the restroom and found a man unconscious with drug paraphernalia in the room. Paramedics performed CPR but the man was pronounced dead at the station. Alameda-Contra Costa Transit District buses are providing parallel bus service on bus line 10. Bay Fair station is at 15242 Hesperian Blvd. was closed shortly before 10 p.m., according to Allison.